Graffitti Studio provides professional in-house Lithuanian subtitling, Lithuanian open and closed captioning services. We cover all media sources (Betacam, Digital Betacam, CD/DVD, VHS and all video formats) and we can deliver Lithuanian subtitling in all formats (sub, srt, stl, fab, sst and many more). To provide a high quality Lithuanian subtitling service, we work with professional Lithuanian translators, Lithuanian linguists, Lithuanian subtitling specialists and Lithuanian editors who ensure quality control on each stage of your Lithuanian subtitling project. Each Lithuanian subtitling project is assigned to a Subtitling Project Manager (SPM) who plans, manages and executes the entire project, serving as a liaison between the Customer and Graffitti Studio. Original scripts are translated in Lithuanian language by professional native speaking Lithuanian translators. The translated Lithuanian scripts are delivered to professional native speaking Lithuanian linguists for proofreading. The ready-to-go Lithuanian scripts, along with the videos are assigned to professional Lithuanian subtitling specialists to develop the subtitles. Lithuanian editors watch the subtitled media for unsynched subtitles and impement corrections (the process is called "spotting"). 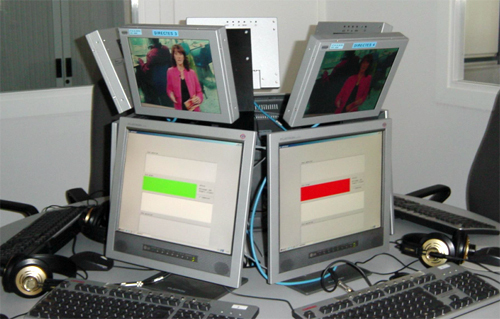 The subtitled Lithuanian media is delivered in the requested subtitling format, archived and stored for possible future usage.